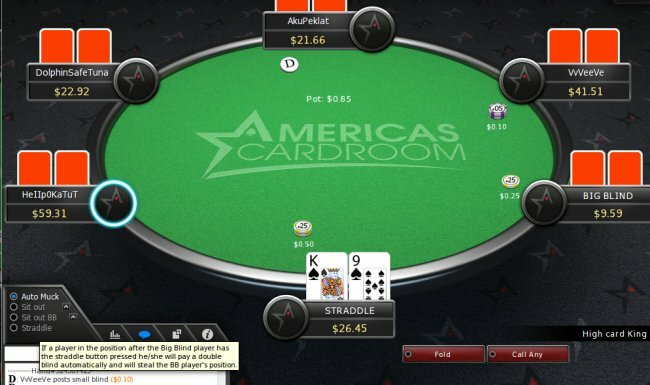 Americas Cardroom (ACR), one of the few reliable US-facing online poker sites, has big plans for Thanksgiving week, and will be hosting a High Five poker series with at least $1.4 million in prize money guaranteed from November 22-26. The poker series is one of the largest of the year online in the United States. It culminates on November 26 with a $400,000 guaranteed Main Event at 4:20 pm ET, a start-time that stoners would approve, with a $450 buy-in. There are satellites available on ACR to enter the tournament on the cheap. Until registration closes, we can’t announce the prize money the winner will receive, but there is one prize we know the champion will also earn: An engraved sterling silver bracelet. 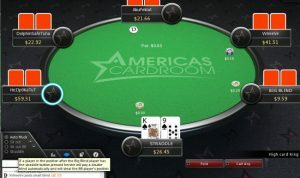 On top of the $1.4 million ACR guarantees during the High Five series, the poker site is doubling the prize pool in its popular BIG 10 tournaments. During the series, ACR’s tournaments will take a “courtesy” break at 4:20 pm ET to give stoners an opportunity to indulge in some adult substances, if they so choose. Of course, playing poker under the influence of drugs or alcohol is never recommended by top pros. The High Five series consists of 25 tournaments, most no-limit hold’em but also a PLO event mixed in, over five days. The first event, a $3.30 buy-in tournament, kicks off at 3:00 pm ET on November 22 and has a $6,000 guarantee. Three hours later, Event #2 gets underway with a $265 buy-in and $100,000 guarantee. Each table will have six players. The final day, November 26, the Main Event isn’t the only major tournament hosted at ACR. Event #21, a $109 buy-in 8-max tournament kicks off at 1 pm. Those still alive in this one when the Main Event begins will likely be multi-tabling. On November 23, pot-limit Omaha fans will enjoy the $88 buy-in Event #9, a PLO tournament with a $15,000 guarantee. ACR received some negative publicity following a cyberattack on its server during Labor Day Weekend. But the US-facing online poker site has made positive strides towards improving its site since, including adding 60-plus forms of cryptocurrency. Customers can now deposit and withdraw via one of those 60 forms of cryptocurrency. No other poker site anywhere in the world accepts more types of cryptocurrency. ACR, a subsidiary of the Winning Poker Network, is doing its part to make online poker great again in the United States.